Lately, goal setting has been on my mind. As a coach, I hear a lot of “I wish I could” or “I want to be able to” fill-in-the-blank. My response is usually to ask, “when is the last time you practiced” or “have you been spending time outside of class”? CrossFit is so effective because it’s highly varied, but if you’re focused in on one particular movement you want to nail, you can’t always wait for that one thing to come around in a class. Our focus should be on well rounded-ness, but I get it personally, there’s those particular things that in your mind you say, I’ll really be an athlete when……and I totally understand. One of the things about CrossFit I love (and shake my fist at sometimes) is how there is always another level to shoot for, a new skill, a new layer to add. If you’re goal oriented at all, then this process of building to the next level can drive you crazy. So here’s a few tips on setting goals, in CrossFit, in running, fitness in general. It’s been said that a goal is just a dream with a deadline…so true. Goals have meaning when they are specific, they have a timeline, and they are reasonable. So let’s elaborate on that. 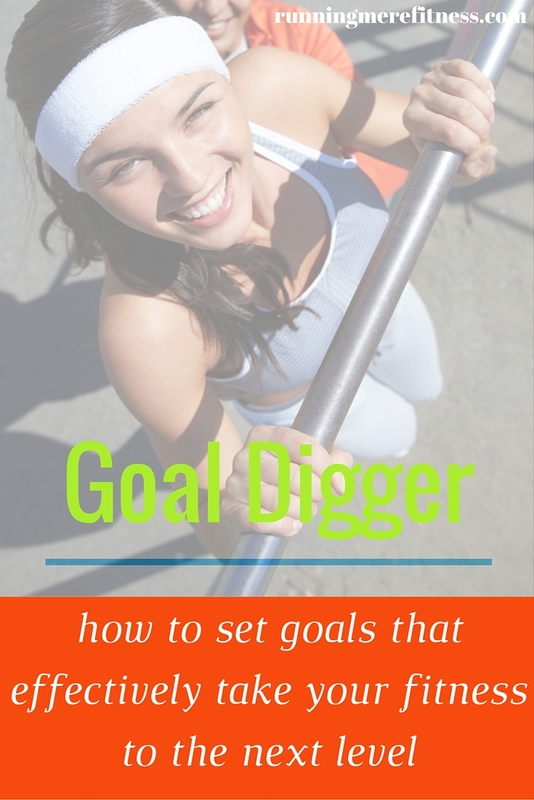 First, define the goal reasonably. For example, if I’ve never run more than 2 miles, my first race distance shouldn’t be a marathon. Or if I just started CrossFit, the muscle-up goal wouldn’t be realistic if I couldn’t do a pull-up or a ring dip. Sometimes the first goal is just the first step to a bigger goal. That’s ok! Get after it, mark that sucker off the list and hit the next one. Second, set a timeline. Don’t get scared here. Lots of folks don’t do this part because they don’t want to disappoint themselves. Think of it this way, even if you fall short on the date, if you’ve been putting in the work, you’re way closer to that goal than when you started. Adjust the timeline and keep going. Lastly, be specific. Use numbers or benchmarks. It’s like saying I want my legs to be stronger versus I want to back squat 200 pounds. This is the part the scientist part of my brain loves, because frankly, I love specifics! (ask my husband) You’ve got to nail out details here with weight, reps, whatever the case may be. Once you’ve outlined the goal then it’s time to go to work. This is the part that might not be the most fun, but it’s where the magic happens. If you aren’t sure what this work should consist of for the goal you have in mind, consult your CrossFit coach, a trainer, or someone with expertise in that area, say a running coach. Consistent work gives big changes. Sometimes it is surprising what you can do in 5-10 extra minutes a day. Double unders are a great example. A few minutes a day in practice does so much for perfecting that skill. Other goals, like increasing mileage over time, might require more of a time commitment a few days a week. Carve out what’s reasonable, plan it, schedule it into your day. Time….would you slow down, because my GIRL IS ALMOST NINE!